Do you find the idea of keeping your kitchen kosher overwhelming? Do you find the idea so simple that you never give it a second thought? 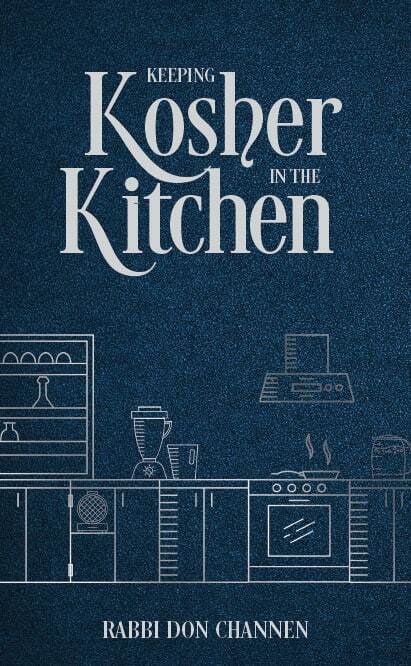 With this easy-to-read – yet comprehensive – book, readers will learn how easy it is to maintain a kosher kitchen – and how to deal with common mistakes that occur in (virtually) all kosher homes. • Includes basic principles and rules in an easy-to-remember format. • Offers knowledge and insight to prevent common kashrus mistakes. • Explains how to formulate a proper halachic question by focusing on the relevant facts and pushing aside distracting details. • Helps you determine what “level” kashrus is right for you right now, and what to do in complicated situations that may not be ideal. • Is written for those who follow either Ashkenazi or Sephardic customs. • Is a perfect companion for anyone who is learning Shulchan Aruch for the first time or preparing for a semicha exam. Numerous case studies reflect a clear progression from Talmudic sources to contemporary halachic rulings, for both scholars and laypeople. Rav Daniel Channen has been teaching the laws of kashrus for over thirty years. Many of his talmidim have acquired positions as Rabbis, teachers, chaplains and kashrus mashgichim (supervisors). He has helped build intensive learning kollels in the United States, England, South Africa, Australia, and Israel. In 2014, Rabbi Channen opened Yeshiva Keter HaTorah, which offers semicha in a number of subjects. Audio and video shiurim enhance the learning experience for those unable to attend the live classes. The Keter HaTorah Beis Midrash is located in Beis Tefilah Yona Avraham (BTYA), Ramat Beit Shemesh, Israel, under the auspices of Rabbi Chaim Zev Malinowitz, shlita.